At this point you’ve done your research and put your business foundation in place including getting needed licenses, creating a website, and starting an email list. During this third week, it’s time to start letting people know about your business by creating a marketing plan. Developing a marketing plan starts by understanding who are the BEST buyers of your product or service. Don’t say “everyone” can use what you’ve got. Even if it’s true, not everyone wants or needs it. Instead, identify the exact type of person (age, gender, socioeconomic status, wants, needs, goals, etc.) and learn what you can about them. For example, many people want to work at home, but a mom wants to work at home for a different reason than a baby boomer. The second part of the plan is learning about the market so you can speak directly to it. If I’m wanting to market to moms wanting to work at home, I need to know why (be home with kids?) and what they’re looking for (flexibility?). On the other hand, baby boomers have a different "why" (support their retirement?). These are important to know because consumers are more likely to respond to messages that speak to their needs. Finally, you need to learn where your market hangs out. This includes websites that they visit, magazines that they read, and the places that they go. This is where you’ll want to put your messages. Generic messages in a generic location will be a waste of time and money. Instead, target market specific messages delivered directly to the market are a more effective and efficient use of your time and marketing dollars. Once you have all these pieces in place, decide what types of messages (ads, publicity, articles, etc.) you will submit to your markets’ hangouts (websites, magazines, etc.) Remember, marketing isn’t a "set it and forget it" proposition. Make sure you do a marketing task (see more ideas below) every day. It’s always a surprise to me how many new business owners don’t tell their friends and family about their endeavor. While they may not need the product or service you provide, they may be able to refer you to people who do. Send an email, make a phone call, and/or share the news on social media. Tell them about the value you have to offer and how you can help them or others. You don’t have to be on every social network. Instead, focus on the ones your market uses. Before marketing and making connections, complete your profiles (including pictures and bio), and use the same photos and logos across your platforms. This lets people know they’re at the right place. There is so much that can go wrong in social media. You can waste time for no results. You can accidentally say something that upsets people. You can annoy your followers with too many “buy” messages. A plan is the best way to manage social media. Your plan should include ways to engage your market (i.e., asking for feedback or sharing ideas) and time spent responding to your market and other connections (comments, retweets, shares, etc.). 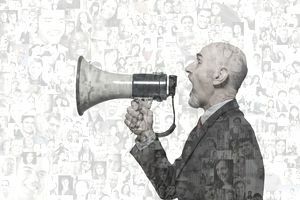 Don’t underestimate publicity to help you build your business. PR is free and can make you look like an expert in your field. Start by sending a press release to your local media, such as newspapers (daily, weeklies), magazines, and local news stations. Next, identify publications your market reads and send a press release to them. Be sure to post your press releases on your website. This is our all-time favorite publicity resource. Media outlets, including blogs, podcasts, magazines, television shows, newspapers, and radio, submit their interview needs to the report. Experts, like you, get an email three times a day listing the media’s needs. If you find a fit, you respond with a query. I’ve used this method to be featured in Redbook and more. Note that the media outlet isn’t always identified in the email. Respond to all HARO requests that you are an expert in. Even small outlets can get you in front of an audience that might not otherwise have heard of you. If you’ve been checking out the websites your market visits, you should have a good list of places you can offer to write a guest post or be interviewed on. When you pitch an idea to a blog owner or podcaster, have your idea fleshed out. Don’t just write and ask to submit an article to be interviewed. Include information about who you are and what you offer, and your article or interview idea.